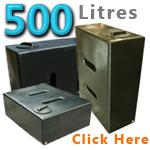 Ecosure's smallest water tanks which come in three varients giving user the choice to suit requirments. 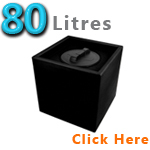 The 80 Litre box shape water tank is small compact and easy to use. 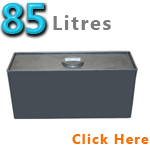 Ecosures new 85 Litre water tank is the smallest size water tank and is rectangular shaped for easy storage solutions. 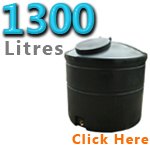 Ecosures 150 litre long and round water storage tank suitable for internal and external use. 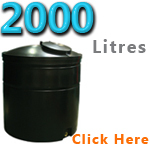 Ecosures 260 litre long and round water storage tank suitable for internal and external use. 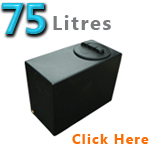 62 Gallon Water Tank - A slimline design that comes in two varients. Made from MDPE and made to be strong, durable and lasting. 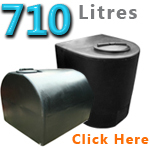 77 Gallon Water Tank slimline shaped and comes in two varients. Made from MDPE and made to be strong, durable and lasting. 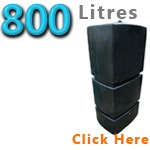 88 Gallon Water Tanks. Slimline shape andeasy to store and also comes in three varients. Made from MDPE and made to be strong, durable and lasting. 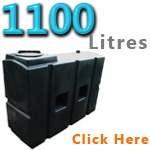 110 Gallon Water Tanks - slimline water tank comes in three varients. Made from MDPE and made to be strong, durable and lasting. 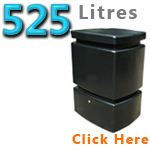 525 litre tank is ideal for easy storage and takes up less ground footprint. 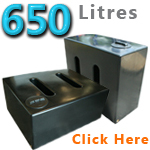 650 litre tank is ideal for easy storage and takes up less ground footprint. 154 Gallon Water Tank a circular shaped water storage tank. Made from MDPE and made to be strong, durable and lasting. 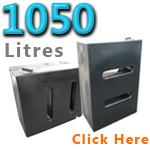 156 Gallon Water Tank is a D shaped tank that comes in two varients a layflat and upright version. Made from MDPE and made to be strong, durable and lasting. 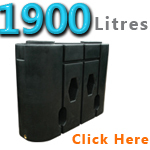 165 Gallon Water Tank is a D shaped tank that comes in two varients a layflat and upright version. Made from MDPE and made to be strong, durable and lasting. 176 Gallon Water Tank which is shaped be tall standing and slide into those tight and awkward spaces. Made from MDPE and made to be strong, durable and lasting. 198 Gallon Water Tank a round shaped water tank. Made from MDPE and made to be strong, durable and lasting. 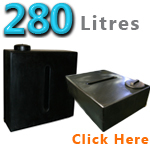 220 Gallon Water Tank comes in two different varients which are both a D Shape. Made from MDPE and made to be strong, durable and lasting. 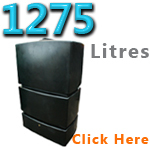 231 Gallon Water Tank comes in three different varients which are all a slimline design. Made from MDPE and made to be strong, durable and lasting. 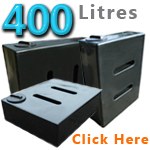 242 Gallon Water Tank is baffled and rectangular for easy vehicle storage and use. 280 Gallon Water Tank a tall standing slim tank. Made from MDPE and made to be strong, durable and lasting. 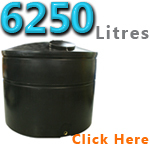 286 Gallon Water Tank. 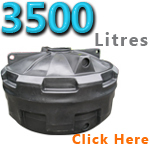 A round shaped water tank popular for domestic, commercial, industrial and farming applications. 330 Gallon Water Tank. 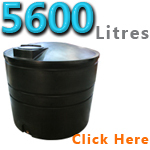 A round shaped water tank popular for domestic, commercial, industrial and farming applications. 352 Gallon Water Tank. 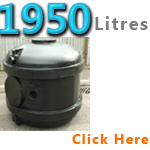 A round shaped water tank popular for domestic, commercial, industrial and farming applications. 462 Gallon Water Tank. 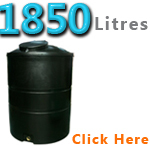 1850 Ltr water storage tank is a popular seller and is ideal for all applications that require rainwater storage. 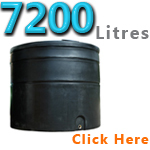 429 Gallon Water Tank. 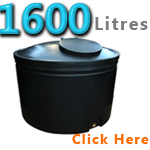 A round shaped water tank popular for domestic, commercial, industrial and farming applications. 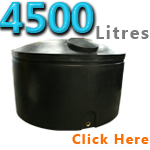 429 Gallon Water Tank. 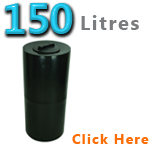 You don't need a bulky water tank to hold large litres of water. 440 Gallon Water Tank. 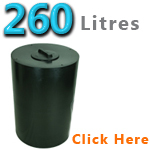 2000 Ltr water storage tank is a popular seller and is ideal for all applications that require rainwater storage. 550 Gallon Water Tank. 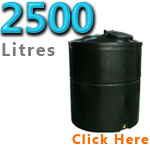 2500 Ltr water storage tank is ideal for rainwater harvesting, water storage, commercial and industrial and agricultural applications. 550 Gallon Water Tank. 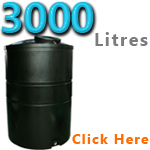 3000 Ltr water storage tank is ideal for rainwater harvesting, water storage, commercial and industrial and agricultural applications. 748 Gallon Water Tank. 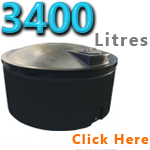 3400 Ltr water storage tank is ideal for rainwater harvesting, water storage, commercial and industrial and agricultural applications. 770 Gallon Water Tank. 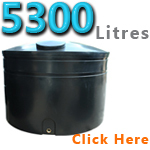 3500 Ltr water storage tank is ideal for rainwater harvesting, water storage, commercial and industrial and agricultural applications. 946 Gallon Water Tank. 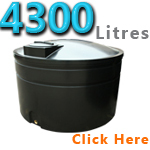 4300 Ltr water storage tank is ideal for rainwater harvesting, water storage, commercial and industrial and agricultural applications. 990 Gallon Water Tank. 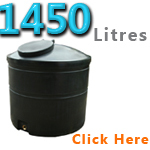 4500 Ltr water storage tank is ideal for rainwater harvesting, water storage, commercial and industrial and agricultural applications. 1100 Gallon Water Tank. 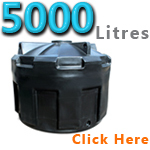 5000 Ltr water storage tank is ideal for rainwater harvesting, water storage, commercial and industrial and agricultural applications. Large water storage tank that holds up to 5300 litres of water. 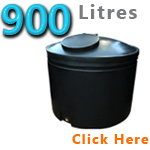 Perfect for rainwater harvesting or just general cold water storage. 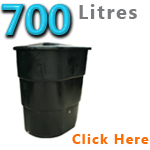 Perfect for rainwater harvesting or general cold water storage. 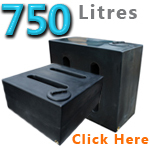 For large applications this water tank holds up to 7000 litres and is UK Made. 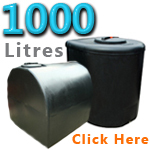 Our water tanks are made with extra strength, durability and are designed to last. They all come with a screw down lid to keep the water secure inside the tank and they come with a bottom outlet that you can draw the water when needed. 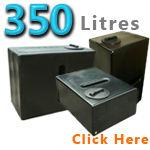 We have many different types of water storage tanks such as rainwater harvesting tanks to store rain water, baffled and car valeting tanks that are ideal for car valeting, potable water tanks that are suitable for drinking water storage, insulated water tanks that prevent water from freezing in the cold weather spells, underground water tanks and many other types of water tanks. 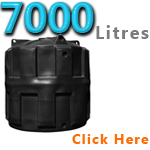 So feel free to browse out website or give one of our friendly sales team a call on 0871 200 2082 and they will be happy to guide you with the right water tank for your needs.